Why would anyone choose "Dune Cloak" over "Infinite Horizon" as a Condition Mirage? Any news on a balance patch? When can we expect the next balance patch? [EU] Keeping Friends Close [KFC] is recruiting new players that need some guiding (chicken) wings! [EU] Veteran player is looking for new main guild with big, nice community. Is Tempest and Warhorn any useful? What's the purpose of dune cloak? Is it useful in any situation? Isn't Infinite Horizon better? P/P build for PvP and PvE? Why did staff get nerfed again in PvE? Confusion change has to be reverted for PvE! Mirage DPS build without spiteful infusions? 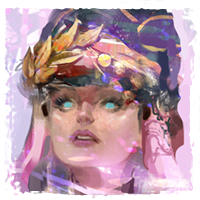 What would you NOT like or want for the next Mesmer Elite Specialization? I am very disappointed in the "Balance Patch"
Can we see all the 900 "Design-a-weapon" entries? What's your favorite class to play and why? [Poll] What Gen. 2 Legendary Weapon would you like to see next? Can we please see Elite Specialization icons in PvP and LFG? [Poll] What weapon would you like to get for the next Mesmer Elite Spec? How can you make a poll in this forum? Which sigills/runes for condi renegade that I can buy on the trading post? Cheap gear for condi soulbeast? Why do you like the Mesmer / Why are you a Mesmer main? Is it just me or is the Mirage not "mirage-y" enough and too similar to core mesmer? [Theory craft] What could be the masteries for Expansion 3? What Mesmer Elite Spec would you like to see in the next Expansion? Illusionary Ambush, Sand Through Glass and Crystal Sands should totally be f1-f3 skills!